All three played a key role in Ireland's first victory in the Home Internationals for six years in Wales last week. 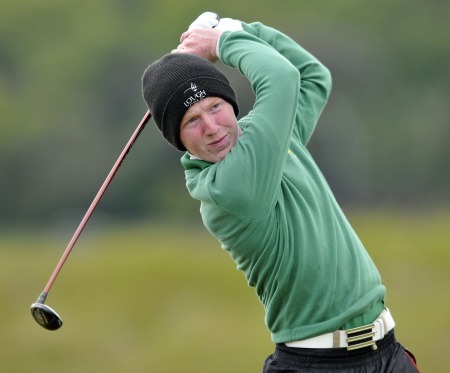 University of Alabama Birmingham star Dunne won all six matches at Southerndown having already excelled his season by qualifying for The Open at Hoylake. Moynihan, who is entering his second season at the University of Alabama, won the Scottish Amateur Strokeplay title while NUI Maynooth scholarship student Hurley made the cut in the Irish Open at Fota Island and was second in the recent International European Amateur Championship in St Andrews. The Great Britain and Ireland teams for the St Andrews Trophy and Jacques Leglise matches against Continental Europe, scheduled for at Barsebäck Golf and Country Club in Sweden from 29-30 August, are expected to be announced on Tuesday. I've no idea how much fun a 787-yard, par-6 is to play but disbelief was the over-riding emotion coming through in tweets from Paul Dunne and Gavin Moynihan ahead of the World Amateur Team Championships in Japan.